Haidouks returned. After more than three decades of constant touring around the world, the founders of Taraf de Haidouks have started a new project: Taraf de Cali and one of the stops on the tour will be on 13 October and Belgrade. 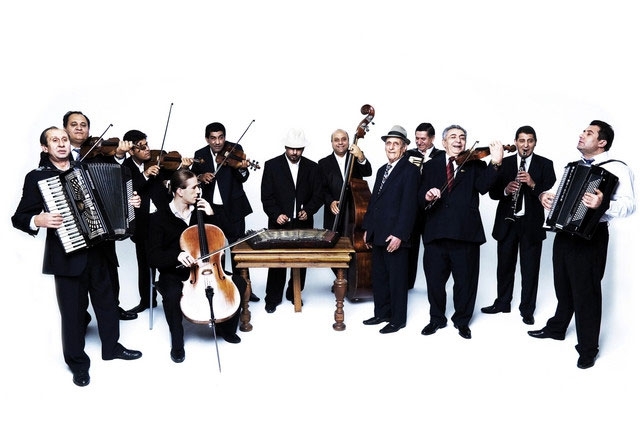 Taraf De Haidouks the most famous Romanian gypsy band of all time and one of the best orchestras of this kind in the world. Musicians from Kležana the last generation lautara who continue the tradition of the authentic music from eastern Romania, the music that has made them one of the most famous Gypsy bands in the world. Under the leadership of Kaliua legendary violinists Taraf, re-conquering the world and come in on Saturday 13th October at Belgrade's Kombank hall. 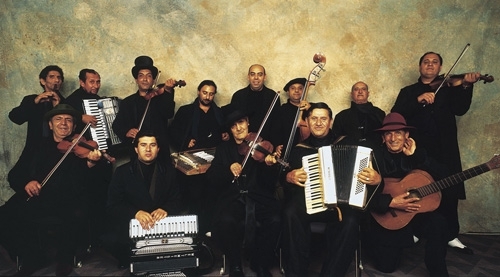 Presented in a British newspaper as 'the best gypsy band in the world', Taraf de Haidouks are considered the personification of the famous gypsy lifeless since the release of their debut album and the first visit to Western Europe in 1990. Performed by the wish world, in places that are completely culturally different - Tokyo, Paris, Singapore, New York, Istanbul, London, Los Angeles, and among their many fans are names like the late Yehudi Menuhin, the Kronos Quartet (with whom they recorded and played), actor Johnny Depp (next to which they appeared in the film 'the man who cried'), fashion designer Jodžija Yamamoto (who invited them to perform as musicians-models in his shows in Paris and Tokyo), the choreographer Pina Bausch, Stefan Eicher and many others. Their music has been used in numerous films, such as 'Brothers Grimm,' Terry Gilliam and 'Driver Life' Radu Mihaileanu. Nevertheless, it seems that the band members did not touch all the attention - retained their sense of humor and their way of life (and still living in his humble village Kležani in Wallachia). Under the name of Taraf de Haidouks are rewarded by the BBC with a BBC World Music Award for best band in Europe and the Middle East. Bringing together musicians from all generations of the ensemble consists of Gheorghe 'cali' Anghel- violin, Robert Gheorghe- violin, cimbalom Tanase- Ionica, Marius 'Marin' Manole- accordion / vocals, bass and Sile Neacsu- Viorica Rudareasa- vocals. Tickets for the concert organized by club 'Gajba' and 'Play' in cooperation with the Kombank hall will be on sale from Monday 17 September.